A lot is being said about New Mexico's Gov. 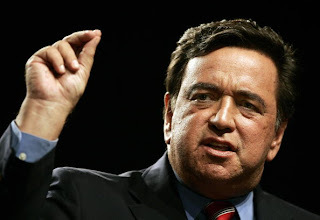 Bill Richardson's endorsement Friday of Sen Barack Obama in his bid to win the 2008 Democratic presidential nomination. Personally, I think there's two truths to this action. The first is that, in a few Democratic inner circles, Richardson, with his Hispanic heritage, is perceived as a valuable election card. That he's now behind Obama certainly would raise the likelihood that the Illinois Senator could benefit within the Hispanic community as a result. But the more realistic fact here is that Richardson is relatively unknown throughout the U.S., even among rank and file Hispanics. Which is precisely why he garnered about 1% of the vote before being forced out of the race himself. I think Democrats are really kidding themselves to think that among average Americans Richardson's Obama endorsement will amount to much of anything. Endorsements in general mean very little. Just as Al Gore's endorsement of Howard Dean in 2004 fell on deaf ears, as did Ted Kennedy's failure to help score a Massachusetts victory for Obama, endorsements do little more than get a few political junkies and party officials excited. Just walk down Main Street America and ask them who Bill Richardson is and you'll likely get "Bill who?" If universally known party luminaries Gore and Kennedy's thumbs up achieves nothing, Richardson's nod to Obama is not even worth discussing. I guess it's a good thing he didn't endorse Clinton then. What would she have done with such a meaningless, insignificant endorsement? Anon 10:36, it never ceases to amaze me how certain folks are walking, talking, breathing examples of classic Freudian Projection. That you yourself are so unconditionally partisan and one-candidate focused doesn't mean I am, my friend. Had Richardson endorsed Hillary I'd have written the exact same thing. And I can assure you, should Gore, Edwards or anyone else endorse her, you can look forward to the exact same piece from me. Here...I'll give you a little preview: "Gore/Edwards Endorse Clinton: Big deal. Won't Change a Thing." Again, that's called objectivity. I suggest you try it sometime. 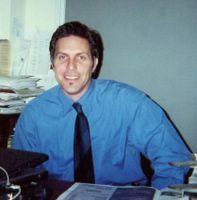 It means that Richardson is spineless and can be bought and Obama is desperate and offered probably the v.p. spot or something else of value. Or, maybe it was just money. (Who are these rich people contributing so much to Obama's campaign? The eight thousand members in his church?) Although I think it was a political move. Chris Matthews nearly cried he was so thrilled and touched to see two representing different minories onstage indicating power and promise. That would be the attraction of their running together as pres. and vp. It was an "only in America moment" for Matthews. It also means Richardson has not one whit of loyalty to Bill who gave him all his career breaks. We could see how inadequate he was during the campaign debates and obviously needed someone in power to give him a start. I'm not sure how unknown he is. I think about 3-6 months ago there was a lot of speculation that he was going to be Hillary's VP. We now know that if Hillary is lucky enough to get the nomination, she'd almost be forced into putting Obama on her ticket. My bet is Obama offered a cabinet position and Richardson is smart enough to realize that Hillary is toast. "Gore/Edwards Endorse Clinton: Big deal. Won't Change a Thing." Way to court those superdelegates! Those insignificant people who are poised to determine the Democratic nominee. You may want to call yourself objective but top Clintonite Mark Penn was the one calling the Richardson endorsement insignificant and we all know he would be singing a different tune if the endorsement went the other way. Anon 2:12 writes: "Way to court those superdelegates! Those insignificant people who are poised to determine the Democratic nominee." Are you that naive to believe that Al Gore, John Edwards, other former and current U.S. senators, VP's etc are really gonna be influenced by what Bill Richatrdson does? See, to me, this Richardson hysteria so demonstrates the euphoria a small group of insiders experiences over something the rest of the country truly finds insignificant. And in the process, they lose sight of the big picture. 11:33 Hillary will NOT select Obama as her vp. Some of you still don't get it. Obama associated with and supported a church and congregation that endorses hatred against America and white people. For that reason Obaba's numbers are slipping -- he cannot unite us. Why would she select someone that so many now no longer trust, or even like. Obama is now out of the picture and Richardson didn't have sense enough to see that or he had the hubris to think his endorsement could make a difference.